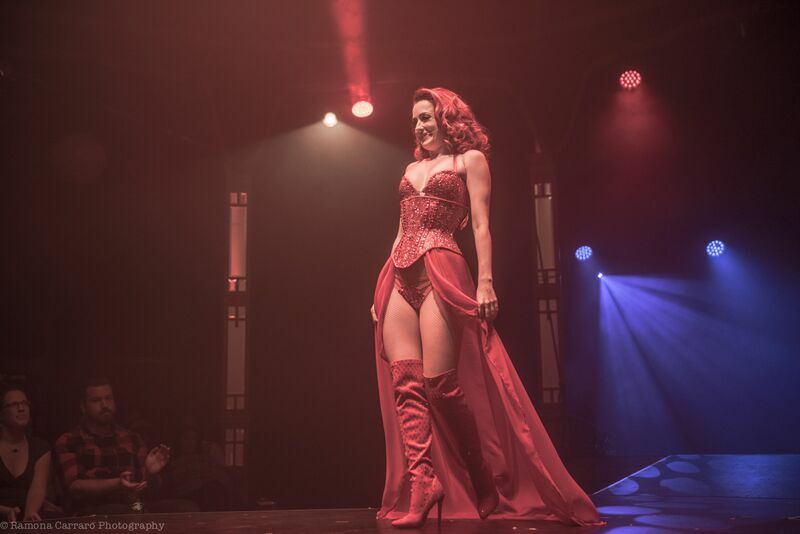 Miss Polly Rae’s Between the Sheets goes big at London Wonderground for a second year, and while last year’s show lacked overall cohesion and confidence, history will remember it as a dress rehearsal for an outstanding 2015 production which has more than found its feet. A perfectly paced, vibrant and varied burlesque pop concert which makes neighbouring shows seem dated and clichéd. Polly Rae glides confidently through the evening like a seasoned pro who knows she’s got a winner on her hands. She shines in her songs and presides with authority, but has the intelligence and restrained ego to allow others to shine and sell their strengths in the interests of creating the strongest production possible. A sultry, sparkling, switched on showgirl-next-door you can pin up on your wall and take down the pub all at the same time. Slick, sensuous glamour and relatable, accessible humour strut side by side in Between the Sheets. As well as the sumptuous couture, poise and polish, sizzling cast chemistry and clever musical arrangements, we enjoy a disarming, sunny singalong to a ditty about coital mishaps and mortifying bodily functions. Circuit darling and mashup mistress Frisky, a hilarious explosion of candy floss and bacofoil, bemoans the loss of ‘dignity and refinement’ as her alter ego Frisky Mivaj, flanked by ken doll candy stripers Phil InGud and Callum Macdonald. Jelly eating contests and a dazzling musical medley ensue. Songs typically delivered as solos are upgraded to cast production numbers. We are treated to an electric opening, with the eponymous bed sheets falling to the ground from where they hang to reveal a chorus of writhing, grinding bodies, and a pulsing heartbeat pumping around the tent as Polly seamlessly launches into Madonna’s Erotica. Later, Polly’s popular boudoir rendition of Oops (Oh My) from the Hippodrome residency turns into a cast effort as Kitty Bang Bang and Madame de Voila mirror her movements in frames upstage and Polly gives a saucy peepshow to each side of the audience in turn. Seasoned BTS fans will be pleased to know that the full cast Virgin Airways spoof remains in this version and is better than ever. The top drawer solos come thick and fast. Phil InGud puts in a fabulous personal best with a workout routine that becomes more X-rated with every exercise. He is in his element spraying and swaggering in a gravity-defying cocksock (the casting agents for Magic Mike 2 certainly missed a trick), graduating bombastically to fully fledged boylesque headliner. He returns later with a contrasting piece of his own creation: his crowd-stilling, moving love duet with Callum Macdonald, injecting a raw and refreshing take on modern relationships. Macdonald is a trouper throughout, pitching in wherever he is needed with commitment and charisma, and managing to make the necessary evil of sponsor product placement far less tedious than last year. It would be interesting to see what he would make of a solo spot. Contorting femme fatale Madame de Voila returns with her distinctive signature striptease routine; it’s compelling stuff but uniformally aloof and still doesn’t fully connect with an audience at close quarters. 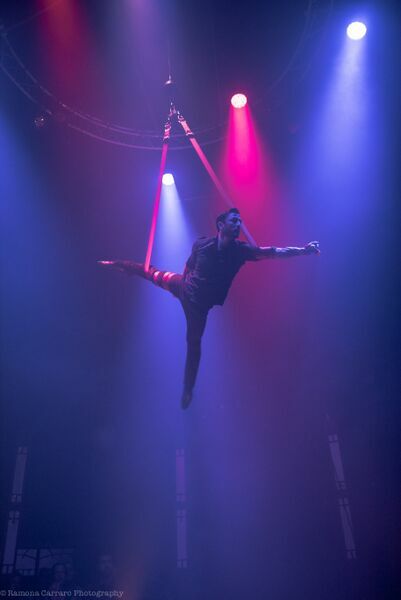 Aerial heartthrob Stephen Williams has upped his game and then some over the past year, refining his routine to a thrillingly high standard. It’s a tight, slick and exciting performance, packed with skill, and when that shirt finally comes off there are ecstatic screams of approval. 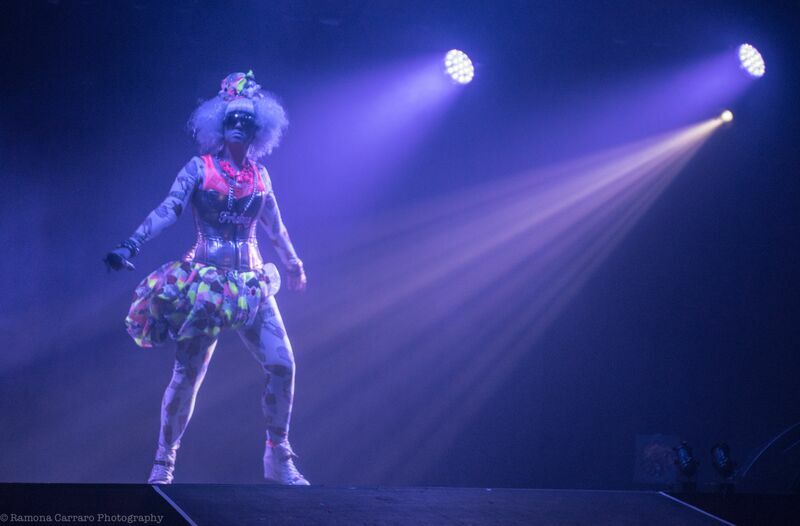 The ultimate star turn is undoubtedly delivered by British burlesque royalty Kitty Bang Bang who, when fully unleashed and given free rein to do burlesque her way, is quite simply outstanding. An original, full throttle fire routine to a pulse-raising Die Antwoord soundtrack is merely the starter before the main course: an absinthe glass finale which punches the classic burlesque motif up one hell of a notch and sticks a stilettoed middle finger up at it at the same time. It’s a tulle-violating, sponge-chucking, flesh-frenzied spectacular, and this is only its debut. For the sake of length I will elaborate more on its significance and cleverness in a separate article. Occasionally Between the Sheets falls foul of the Spiegeltent sightlines. Polly’s rendition of the 50 Shades version of Beyonce’s Crazy in Love is intriguing at first as we search for the source of her voice in the darkness, but the centre stage is left empty for the duration of the song as she toys with the small section of the audience who can actually see her. And so thick is the blanket of smoke engulfing the entire upstage section that final flourishes and reveals in at least two numbers are lost to the seating further away. Beyond this, there is very little to criticise. 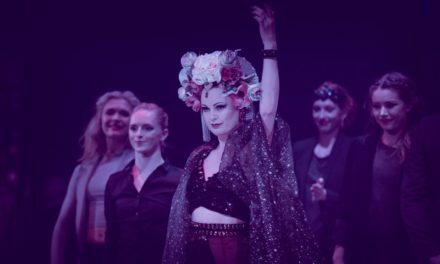 Between the Sheets brings burlesque bang up to date with flair, authenticity and intelligence in a scene often plagued with complacency and a lack of creativity and willingness to push further and offer something new. It grabs you by the heart, mind and groin and holds on tight for 90 minutes of bawdy brilliance. Every cast member, without exception, has brought their A-game to this fantastic show and it more than deserves a longer, star-billed run in the Spiegeltent next year. 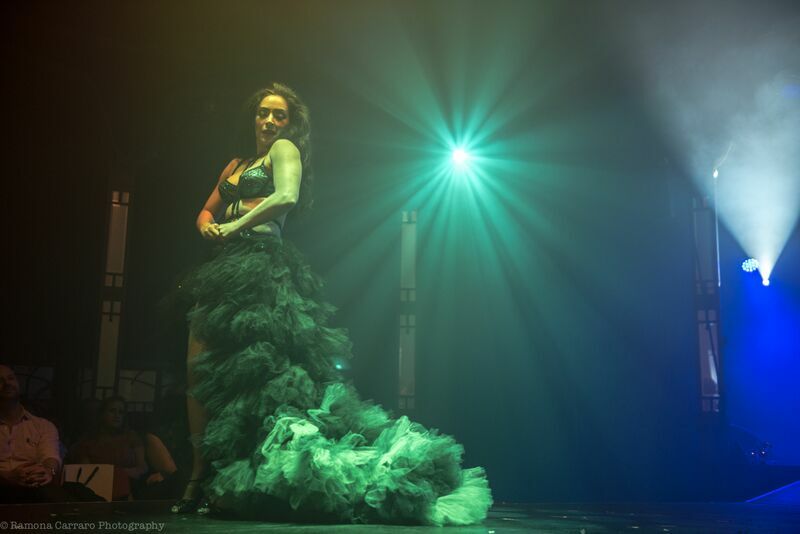 Purchase tickets for Between The Sheets: An Intimate Cabaret at London Wonderground 2015. Remaining shows: August 30th, September 9th and 17th.